Hundreds of volunteers clean up litter in and around Biscayne Bay at the annual Baynanza festival. In this 2015 file photo, volunteers work at Virginia Key Beach Park. A view of Biscayne Bay from the Julia Tuttle Causeway. Miami-Dade County biologists say about 21 square miles of the bay's seagrass have died off in the past decade. At the inaugural Biscayne Bay Marine Health Summit on Wednesday, a crowd gathered to discuss two main problems: litter and chemical contaminants, and a massive seagrass die-off between the Venetian and Northeast 79th Street causeways. Local officials, researchers, business owners and activists weighed in. “My focus is on marine debris and plastic trash in the bay. I understand what I can see, but I’ve been learning about what I can’t see that’s causing tremendous problems. It’s all about what we’re putting into our bay. A poster at the summit, which took place at Florida International University's Biscayne Bay campus. “It’s going to take all of us working together to protect Biscayne Bay, which is really the largest economic stimulator for Southern Florida. “I came here really curious to understand why we had such a rapid die-off of seagrass and declining quality of the bay. “What gives me the most hope is the presence of all the different partners we need to engage on this issue. Discussion in the morning sessions centered on the state of the bay and sources of pollution. 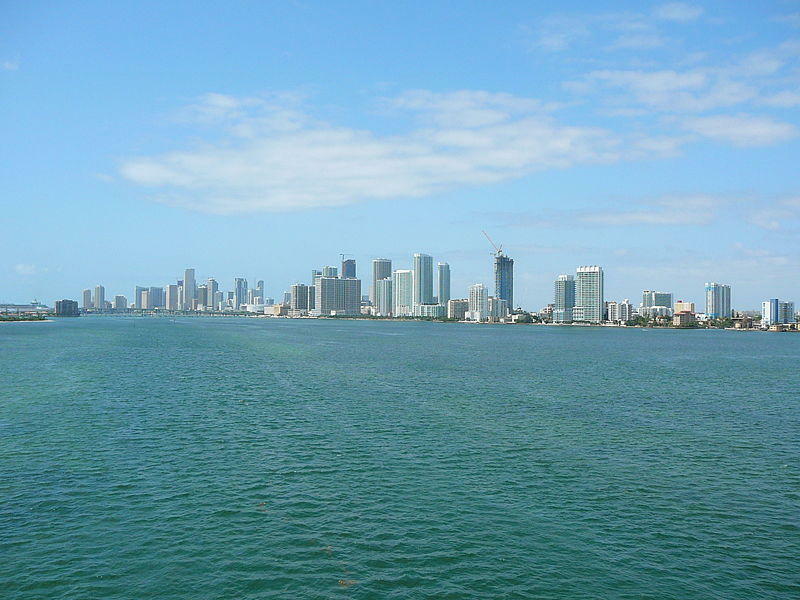 “We have problems with climate change, sea level rise, hotter water due to global warming, ocean acidification — all the stuff that compounds what’s going on with Biscayne Bay. And if we don’t start to act proactively now, we may lose the handle on it and not be able to get it back. “This is where the conversation starts.